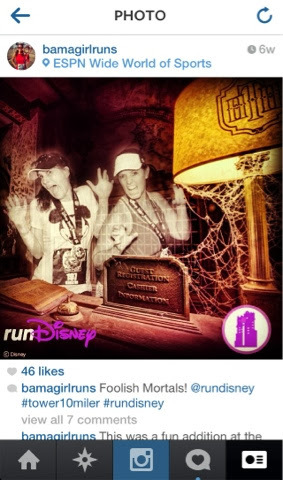 Tell YOUR runDisney story via Instagram! One of the newest crazes to hit the Social Media is world is Instagram! I'm a huge fan of this app, love adding filters to my pics and have a crazy huge ton of fun being able to share instantly with the world just exactly what is going on in the world of BamagirlRUNS! Of course when runDisney stepped onto the Instagram scene, guess who #JustGotHappier??? That would be me!! 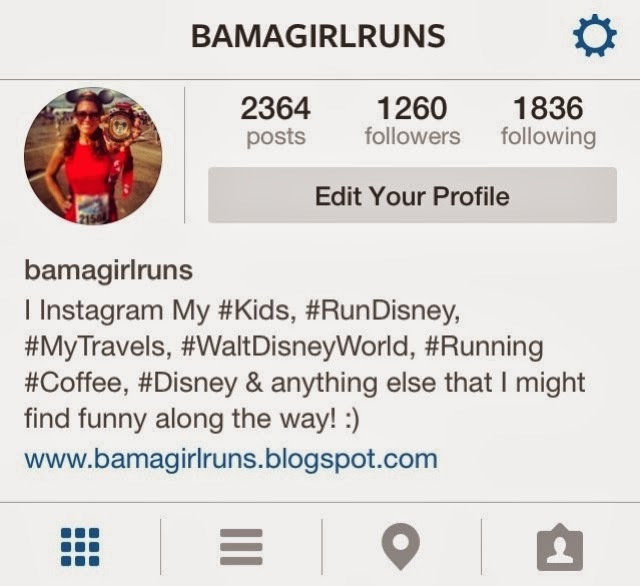 I have had an Instagram account for a couple of years now and have been waiting for runDisney to create an account. Since they added their page, it's been a gaggle of fun tagging them, searching hashtags, posting pics and interacting with other runDisney enthusiasts. I've even had two of my pictures featured on THEIR page!! OMG. How fun is that???? I've read articles before that Walt Disney World and Disneyland Resorts are two of the most popular Instagrammed vacation destinations. 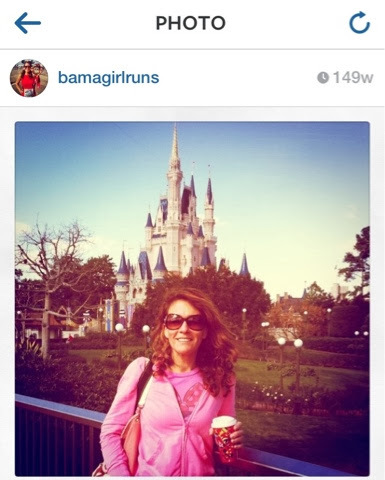 I have to believe that that is a true statement because I know that when I vacation to Disney Parks, whether it's with my family or with my running friends, I'm an Instagramming fool! I'm totally okay with that because when I'm at home and I have friends posting from the parks in real time, I'm able to instantly add some magic to my not-so-magical day at home. Disney Magic at home...now that's what I'm talking about! This was my very first Instagram pic! I'm at Walt Disney World drinking coffee in front of Cinderella Castle. #BEST. I've always been accused of being a shutterbug and taking waaaaay too many pictures. Is that REALLY a bad thing?? Are my kids going to be mad when they are adults because their mom took zillions of pictures of them as kids?? Will I regret having thousands of race pictures when I'm just too old to put one foot in front of the other?? Probably not. And if that's my biggest problem in life...whoops. #SorryNotSorry. 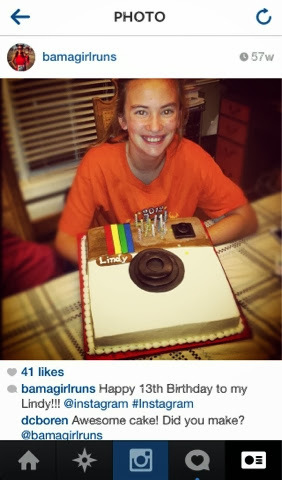 Not only do I love Instagram, but my kids do too! So much so, that we even celebrated my daughter's 13th Birthday with an Instagram Birthday cake. 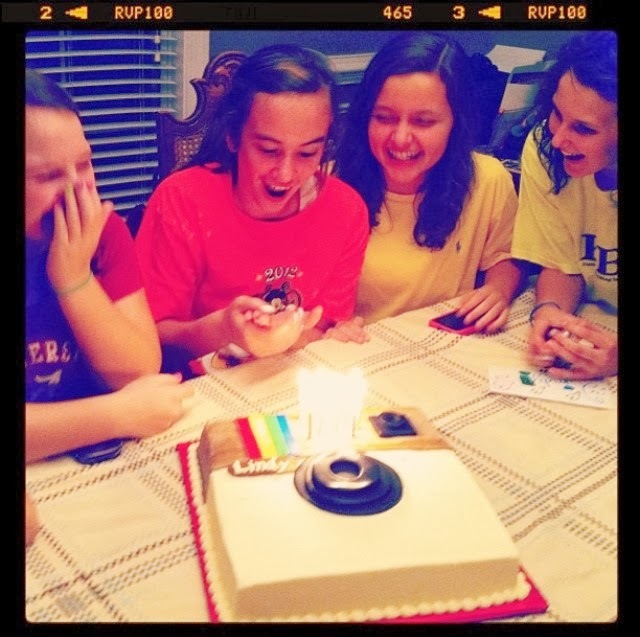 For a brief moment, I was the COOLEST Mom amongst a room full of 13 year olds. I secretly know that my kids still think I'm the coolest Mom EVER. LOL. I was not able to attend Disney Wine and Dine Half Marathon or Expedition Everest Challenge this year but because of Instagram, I could see all kinds of pictures from hundreds of my runner friends posting pics from the beginning of the weekend starting with the Health and Fitness Expo all the way to the end and then wrapping it up with the Post Race Parties at Epcot and Disney's Animal Kingdom. 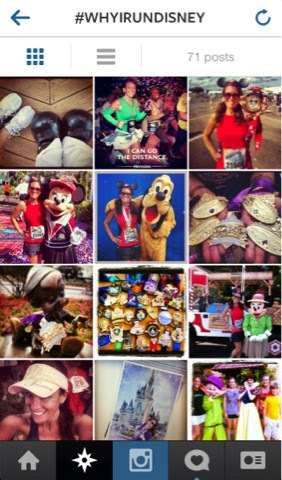 I would do a simple search of either #WineDineHalf, #NBYetiGram or #runDisney and had thousands of pictures from the races at my fingertips! 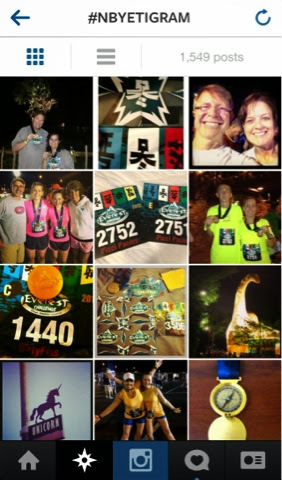 At Expedition Everest Challenge, runners could even stop by after the race and pick up a printed copy of their picture that they hashtagged using #NBYetiGram. 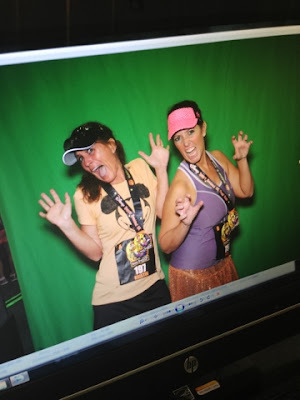 At The Twilight Zone Tower of Terror 10-Miler Weekend, runDisney had a very cool booth set up that we could download a free Instagram picture with our most "terror-ific" faces on it. 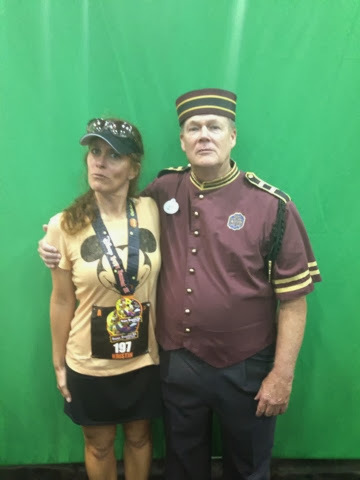 --First, we had to get in line with our smartphones and show the Cast Member, who was also a Bellhop, that we followed the @rundisney account on Instagram. Duh. OF COURSE I'm following!! I was "Terror-fied" of this dude. --Next, we posed in front of the green screen. We needed to make sure that we had a look of Terror. Check. After all, we were about to run 13.1 spooky miles. Terror face on!! I mean, who wouldn't be scared to death of these two chicks?!?! --Grand Finale! The Bellhop Photographer took us over to the computer where we entered in a few of our details...Name, email, phone etc. and then we would receive an email with the link to our image in just a bit. We were now free to download the pic and do with it whatever we like! To my surprise, the edited picture, complete with the #Tower10Miler stamp and runDisney logo turned out to be one of my most favorite pictures of the whole weekend! Thanks @runDisney for the great picture!!! So what was the first thing that I did when I received my picture??? I Instagrammed it of course!! #FUN. #LOVEIT. #FAVORITE. My friend Leigh and I were 'dropped' right into the lobby of The Twilight Zone Tower of Terror! EEEEK! So another really cool thing that @runDisney is launching are hashtags that are specifically designed for runDisney enthusiasts to share THEIR story with other friends, runners and people who have never ran a runDisney race. In case you missed it, you can read my recap about the Inaugural #OnTheRoadToDisneyParks Atlanta here. On the runDisney blog, there's an interesting article about Carl Savard, a Subway Commit to Fit Ambassador from Canada who has accepted the challenge to lose weight, become fit and run the 2014 Walt Disney World Marathon! You can read the inspiring story of Carl here but another fun way to keep up with Carl and other fellow runDisney enthusiasts that want to share their story is by following along using the Hashtag #RoadToRunDisney. You can also use this same hashtag (#RoadToRunDisney) to share YOUR own training and what got YOU on the #RoadToRunDisney. 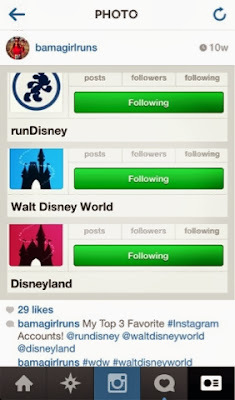 I can't wait to "see" all of the different reasons of why people runDisney through everyone's Instagrammed pictures! 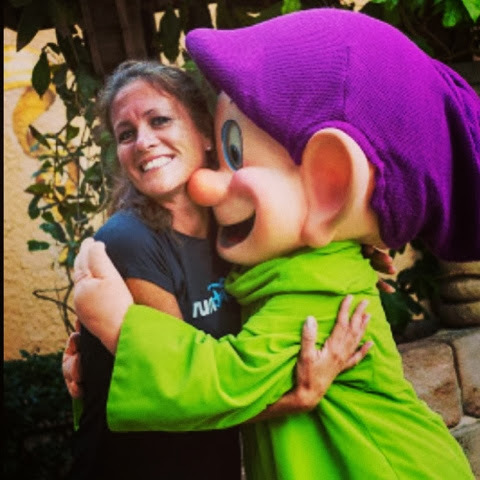 Is your reason for running Disney to lose weight? Do you want to be fit and healthy? Are you overcoming a major challenge in life? Is it just fun to runDisney? Do you run with your friends and family? Do you need to show off your creative Disney costumes? Are the runDisney medals just too fabulous to pass up? Start using that hashtag and let the world see! I've created this list of Hashtags that I'm currently following to see the latest pictures on all of the @runDisney, @WaltDisneyWorld and @Disneyland Resort accounts. Happy Running and "See" you at the Castle! 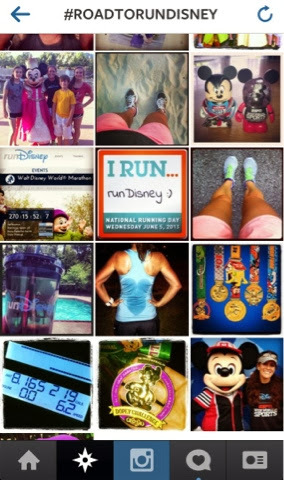 **Do you have your own #RoadToRunDisney story to tell? Wordless Wednesday- Happy National Hug A Runner Day! All of the miles and miles of training is worth a sweet hug from this fella! Happy National Hug A Runner Day! It's a HOMERUN for #OnTheRoadToDisneyParks Atlanta! You've hit a homerun today!!! This is what I see when I check in....I am in LOVE!!! runDisney has come to ME. OMG!!!!! On a score from 1-10, I give the "On the Road to Disney Parks" and the runDisney Atlanta Meetup/Tweetup a PERFECT 10!!!!!! When runDisney announced that they were going on the road and that their first stop would be Turner Field, Home of the Atlanta Braves... I nearly flipped out!! This is practically in my back yard and I knew I wanted to try to get in on this!! I was one of the lucky 100 people chosen and I could not have been more excited!!! I had really high hopes for this event and of course my pals at runDisney and Disney Sports did not disappoint!! The event was full of great speakers, a couple of surprise Mice guests, a great two mile run through Turner Field and lots of friends!!! As we walked in to Turner Field, I noticed that runDisney was on the big screen and the stage was set!!! OH MY GOSH. runDisney has taken over Turner Field....YES!!!!! 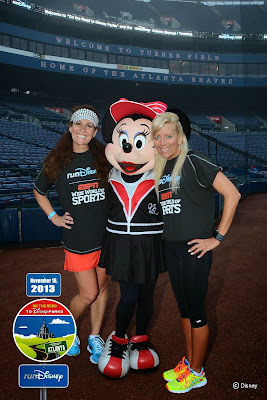 runDisney takes over Turner Field.....LOVE it!!!!! Early morning pic in Atlanta! The iconic Braves Baseballs in the front of Turner Field. On display at check-in was this fabulous display of runDisney bling...I am proud to say that I will be earning at least 9 of these medals during Dopey and Glass Slipper Challenge. I could look at these day! And this medal rack....Can I put this on my Christmas list PLEASE???? A beautiful display of runDisney bling...I want them all! After checking in and changing into our most awesome runDisney/ESPN Wide World of Sports/On the Road to Disney Parks Atlanta Tech Shirts, we are ready to meetup with friends and run! We are welcomed by the runDisney and New Balance Crew where they go over some "Good Form Running" techniques and we're ready to run!! You can check out Rikki on BeOurGuest Podcast. We can choose which group we want to run with, either the "Run straight through group" led by runDisney's own, Bob Hitchcock or the "Run/Walk group" led by Olympian Jeff Galloway! I chose to run with Bob...so here we go! We start out on Hank Aaron Drive. Really?? I'm running down Hank Aaron Drive?? Just the name and the location of this street is a really cool icon all in itself! We ran down Hank Aaron Drive...How cool! Up next, we ran underneath the 1996 Olympic Rings......WOW! I've driven past here lots of times but never thought I would be running underneath them, much less with runDisney. I'm still in awe. Seen on my run. The Olympic Rings! In spite of the bombing and everyone not really knowing what to think about it, the American spirits were high and we had a GREAT time! I was 23 years old at the time and in college having the time of my life! 1996 Summer Olympics with my BFF, Paige...I wore cutoff shorts! Oh my!! So back to the Meetup details....We passed by this Phil Niekro Statue and headed back inside Turner Field. We're in Braves Country! Seen on my run...Soon to be Vintage Turner Field! Running in to Braves Country! This was the scene as we ran back into Turner Field! As we went back inside Turner Field, we headed to the infield! We stopped for lots of pics. Being all by myself on the field at Turner Field...Priceless! On the field with one of the best Team Moms...Angie from the Disney Parks Moms Panel. visiting the ESPN Wide World of Sports Complex. Feel free to ask her any questions that you may have on the Disney Parks Moms Panel Website. Minnie Mouse next to home plate at Turner Field??? On the field of Turner Field!!! #OnTheRoadToDisneyParks with Minnie and Carrie! The "Run" Group stopped for a quick pic with Minnie and then we were off to run again! Running through an EMPTY Turner Field with nothing but my runDisney Peeps!!!! As we finished the run, we met back up with friends, had a yummy breakfast and were ready to hear from the guest speakers. I was SO excited to see Mary Jo in Atlanta at Turner Field! She's One of the Biggest Braves Fans that I know!! we are totally on the same team for runDisney and Disney Sports! It's Super Fast-Lead the Pack- Bob Hitchcock! I cannot help but to laugh when I see this picture.. Team runDisney in the House!! Wanna be a part of this super fun group?? Check out their Facebook page! I've had SO much fun getting to know THIS girl!! Breakfast! My favorite...lots of fruit and Blueberry Chobani! Time for an ALL-STAR LINEUP of guest Speakers!! 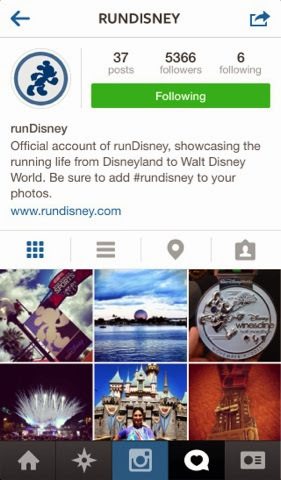 The folks at runDisney let us know that they will be launching a new Hashtag to be used on Instagram for you to be able to tell YOUR story just why YOU run Disney! 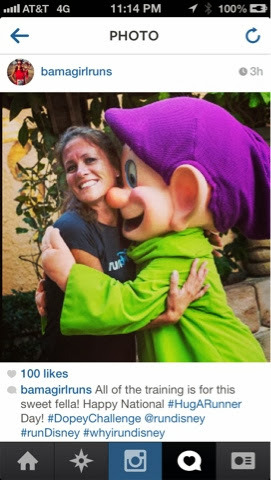 Make sure to hashtag your pics #WHYIRUNDISNEY. Bob Hitchcock just might come to your house and want to hear your story!! How fun is that?!?!! We heard from Warren Green at Runner's World Magazine and I want to participate in the Runner's World Challenge during Walt Disney World Marathon Weekend more than ever now! Jeff Galloway giving us some run/walk tips! Jeff Galloway, the official runDisney Training Consultant, always gives the runDisney runners helpful insight on how to maintain a good pace, tips about the run/walk method and is always so encouraging to everyone. He lets us know that "Anyone can run a Marathon". Love him! Listening to Tara Gidus speak is always a personal favorite of mine. I am fascinated by just how much nutrition, good and poor, affects your running performance. She tells us today why some people actually GAIN weight while marathon training. EEEEEK!!! Find out more about it here on the runDisney website blog. I think that we were the most excited to hear from this next speaker! It's Ali from New Balance!! Our friends from New Balance are here today to give us the official Sneak Peak of the characters featured on the new 2014 runDisney shoe. We were all dying to hear the news!! Watch the Sneak Peek of the new 2014 New Balance/runDisney shoe here! Ali from New Balance gives us the scoop on the 2014 New Balance/runDisney shoe! She just announced that there will be kids shoes!! WOW!!! There will be lots of happy little feet at the 2014 Kids Races!!! Women's will feature "Pink Minnie" from New Fantasyland! And finally, saving the BEST for last....It's time for pics with Mickey and Minnie!!!! I'm still really in just in LOVE with the idea that they came to see me!!! As much as I love running through Disney Parks, this was just the coolest. I'm hoping to see them on the road again real soon! I think this may be my most favorite picture EVER. Mickey and Minnie in Atlanta with my Mom...BEST!! Awww...Is this not the sweetest?!?! See Ya Real Soon #OnTheRoadToDisneyParks! THANK YOU runDisney, Disney Sports and Atlanta Braves for a GREAT meetup! You guys are the BEST and I can't wait to run with you again in January!! Happy Running and See you at the Castle!!!! **For more information on future meetups like these and other runDisney events, please visit Disney Parks Blog, Disney Sports and runDisney.com. Dopey Challenge Training Plan Update! Cranberries, Cookies and Bogs...Oh My! runDisney Night Race? Say Cheese! !